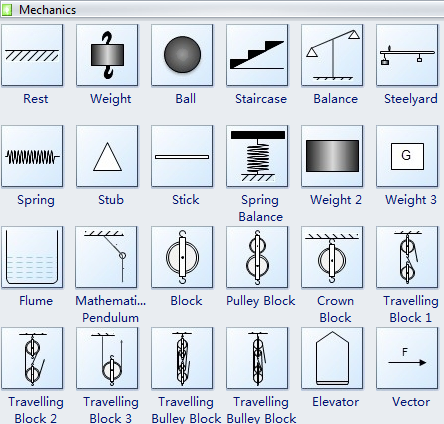 Physical Mechanics Diagram Software - Draw physical mechanics diagrams easily from examples and templates! Edraw Max is a vector physical mechanics drawing software and includes lots of scientific illustration templates and examples which is easy to draw physical mechanics diagram. Choose from a variety of symbols and templates. From pulley to voltmeter, find the best fit for your data. Make the diagrams your own. Configure an extensive set of options to perfectly match the look and feel of your topic. The drag-n-drop interface and point-n-click editor have greatly eased the formatting process. Edraw team always stands by to solve your problem. I click export into other formats, allowing better collaboration and share. 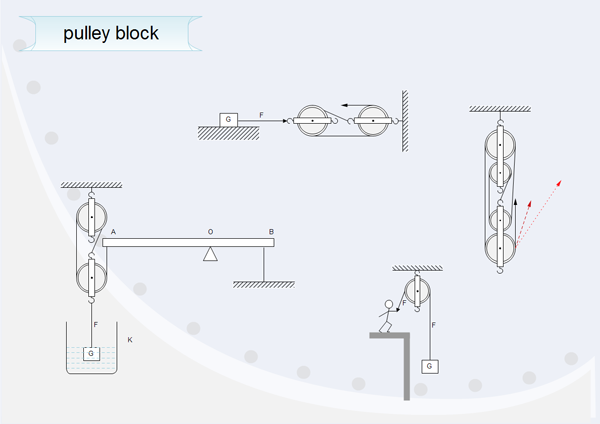 The physical mechanics drawing Software included some pre-defined molecular shapes. Such as pulley block, grown block, weight, balance, steelyard, spring and elevator. Only drag them into the view and start your work. Every shapes can be edited and rearranged.